At Bullion Exchanges, you will find a wonderful collection of superb bullion coins produced by leading mints. Add this superb 2018 Great Britain 2 oz Silver Queen's Beast (Unicorn of Scotland) Coin to your portfolio today, and it will be thoroughly packaged and shipped to your address. If you have any questions, just call us at 800.852.6884, or write an email, and we will be happy to assist you. Perfect Transaction. Can't Ask For Anything Else. Had a question about this series and was able to connect with customer service so easily, got great information. Will always order from BE, you don't get customer service like this anymore. Wait til you see the detail on this design. Incredible! 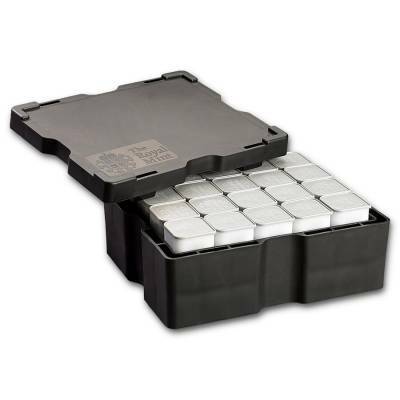 Safe packaging, great price as well. Was able to order this coin as soon as it was released. Arrived very fast, safely packaged, looks phenomenal. Thanks, BE!!!! Had to order this one as soon as it was available! Great design! I got a roll of these and the product's fantastic. I would love to see them make 2 oz ones in gold. I'd totally save up for one... The size is glorious. Just received my coin yesterday. It was perfectly packaged. Thank you, Bullion Exchanges. I'm a repeat customer. Great coin and shipped in perfect condition, even earlier than the pre-sale date! 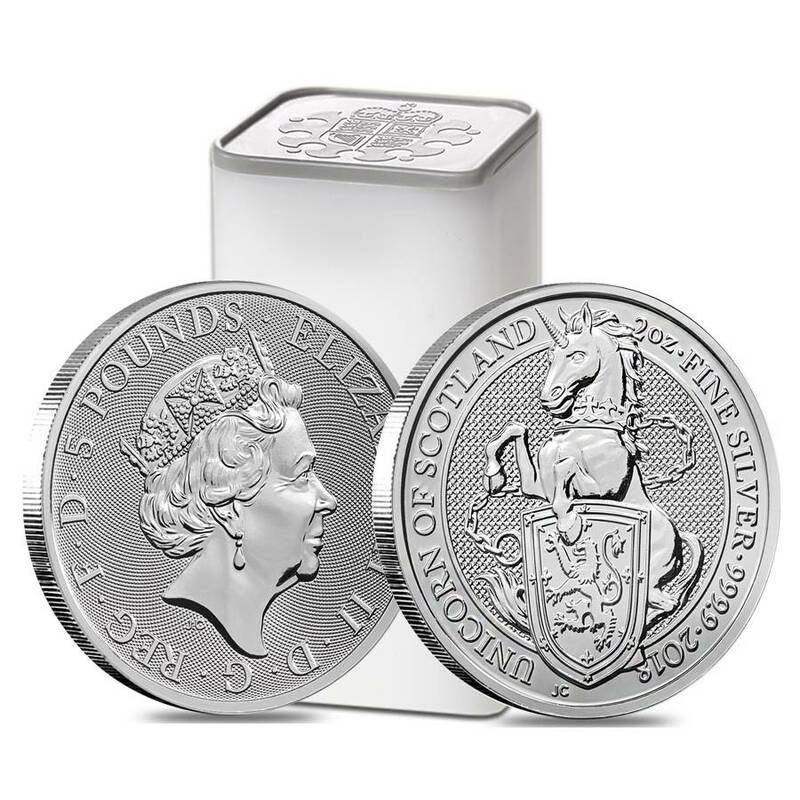 Bullion Exchanges always seems to be one of the first company to release new products. Awesome job guys! Nice! Great surprise the Royal Mint released Unicorn earlier than Greyhound! The Queen's Beasts series is amazing! This unicorn release is a surprise, but it looks super cool! Can't wait to have it! 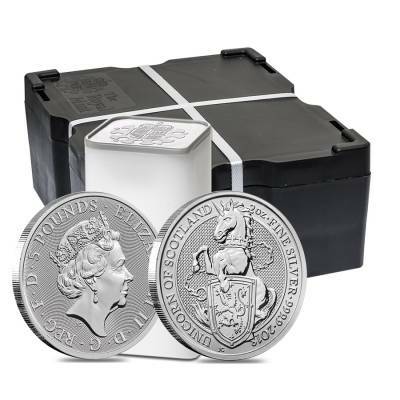 After looking at various precious metals retailers and comparing the prices for this coin, I found that Bullion Exchanges has the cheapest pricing. They're about $0.80 lower in price compared to everyone else. With this purchase, you earn 38 Bullionaire Bucks 38 BB = $0.04. We currently have 12 of this item in stock. For every $1 spend, you will earn 1 Bullionaire Buck which is equivalent to $0.001 off a future purchase. 38 BB = $0.04.